Winter is here in temps today, only a high in the 30s. 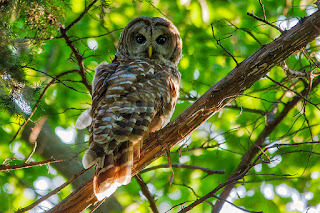 My image today was taken on a nice summer day in June at a friend's house where she is lucky to have Barred Owls come and hunt in the yard. 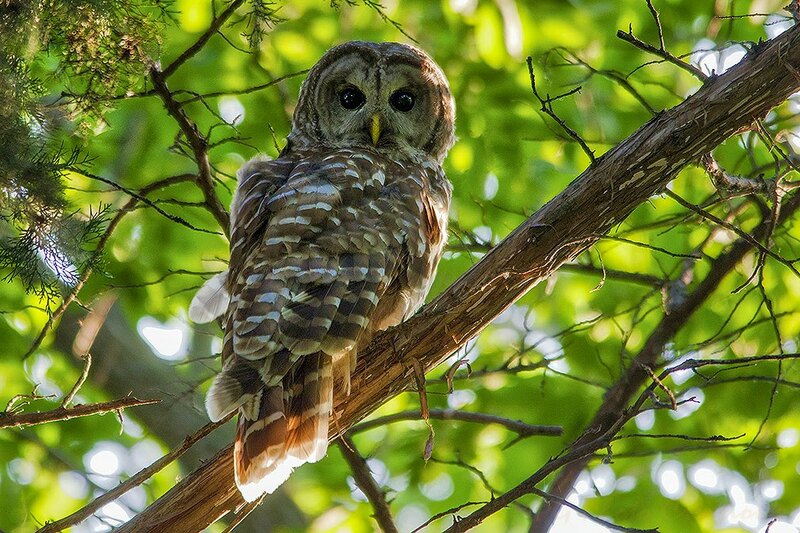 I captured this young one in the tree in between it swooping down to the ground for a snack. Owls are such cool, beautiful and mysterious birds.